The all new TTiR - the world's first triathlon bike with Disc brakes! 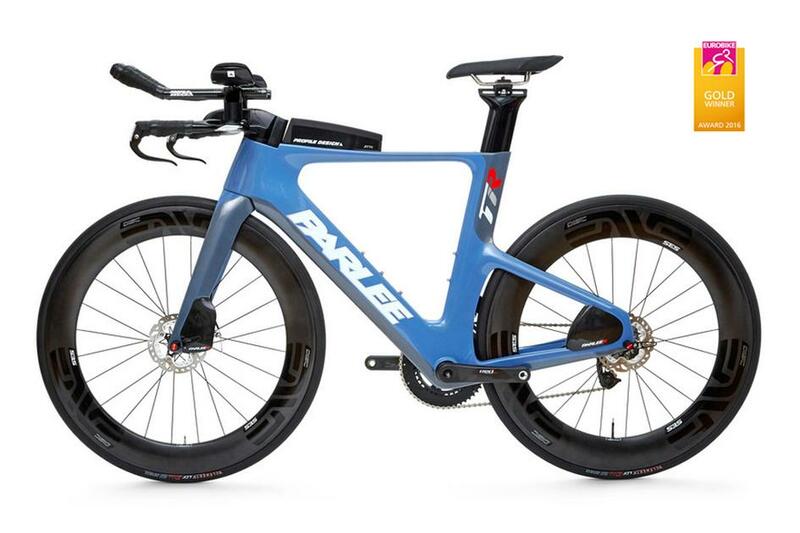 We are thrilled to announce the arrival of Parlee's latest creation - the all new TTiR. An all new machine, three years in the works, the TTiR is a revolutionary machine - a new way of thinking how a bike should work. We are thrilled to announce that the bike has been awarded the Gold Winner 2016 as the highest award given by the Eurobike design jury. Winning this prestigious award from a field of almost 500 entries, the TTiR was recognized for its innovation. The jury noted: "This bike is extremely innovative with a sleek design. The enclosed disc brakes are aerodynamic and raise safety in this segment to a new level." They continued: "Parlee is excited to introduce the first disc brake equipped time trial frameset. The 2017 TTiR employs clean lines and versatile airfoils that are based on Bob Parlee's deep aerodynamic and hydrodynamic experience, but takes a bold leap into the future with the addition of disc brakes. Better braking is just the beginning. Innovative fit via a proprietary modular cockpit and four frame sizes, and versatile aerodynamics designed for real world conditions, complete the package." We've received the first TTiR frameset and will be building it very soon. Look for more details shortly. Please contact us for further details.